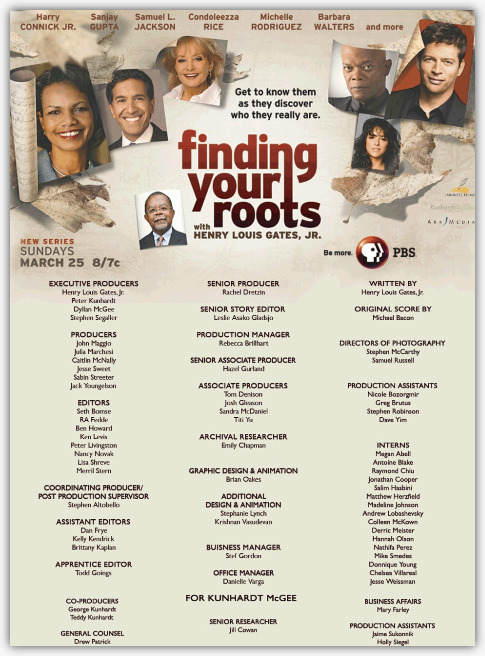 The basic drive to discover who we are and where we come from is at the core of the new 10-part PBS series Finding Your Roots with Henry Louis Gates, Jr., the 12th series from Professor Gates, the Alphonse Fletcher University Professor at Harvard University and director of the W.E.B. Du Bois Institute for African and African American Research. Filmed on location across the United States, the series premieres nationally Sundays, March 25 – May 20 at 8 pm ET on PBS (check local listings).